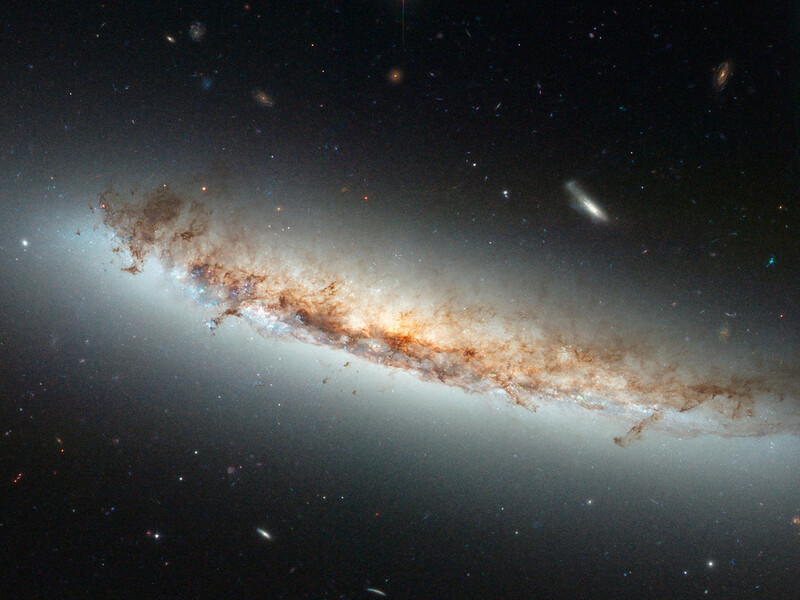 The image of NGC 4402 highlights some telltale signs of ram pressure stripping such as the curved, or convex, appearance of the disc of gas and dust, a result of the forces exerted by the heated gas. 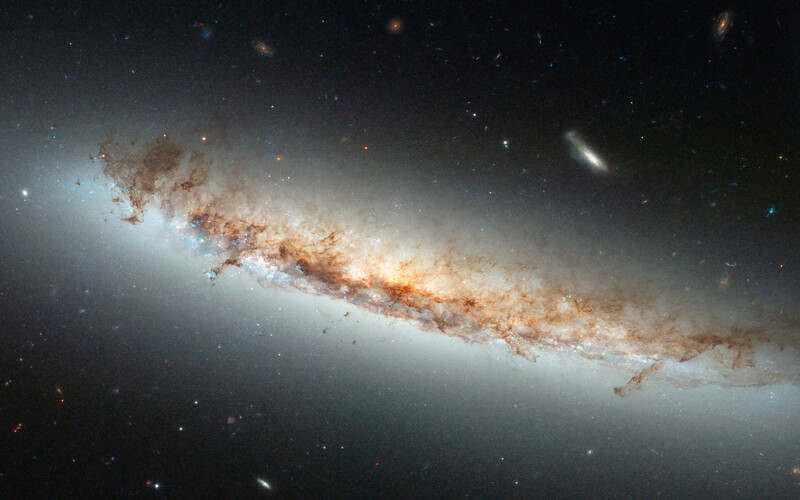 Light being emitted by the disc backlights the swirling dust that is being swept out by the gas. 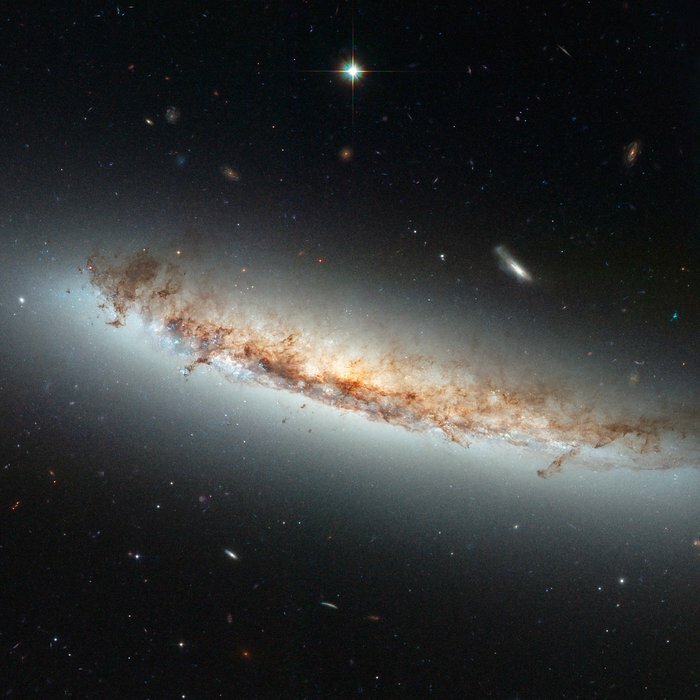 Studying ram pressure stripping helps astronomers better understand the mechanisms that drive the evolution of galaxies, and how the rate of star formation is suppressed in very dense regions of the Universe like clusters. Position (Dec): 13° 6' 52.34"